Here I sit on a quiet Saturday Morning, I'm the first one to wake up although this is a a little late for me to get up. I have to admit that I went to bed a little early as well last night and pretty much slept straight through. I must have been tired, I usually don;t sleep that long or this late. 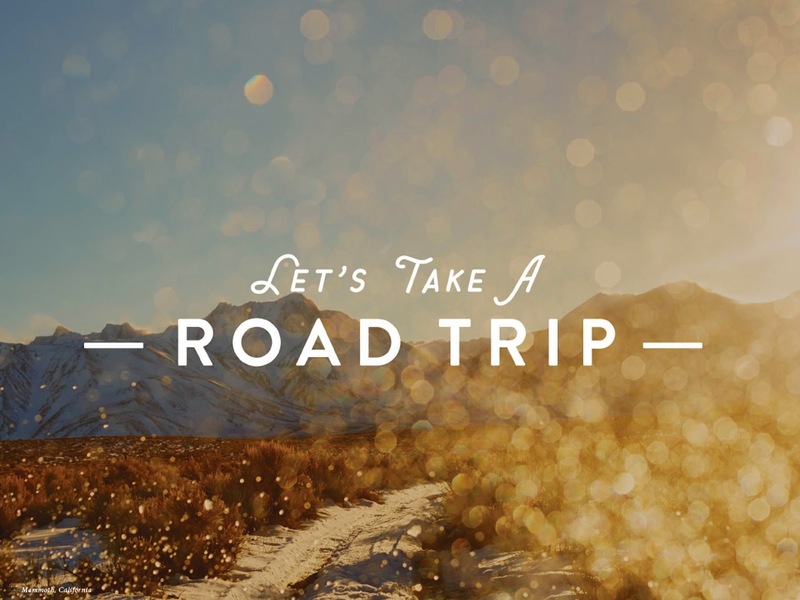 We were talking last night about grabbing our small portable grill, packing up a small cooler, grabbing the camera and all the GPS's and heading out on the road for a road trip. Michelle mentioned Black Water Falls since she has only been there once. I mentioned OhioPyle but now Im starting to lean towards Michelle's train of thought. I've only been to Black Water Falls myself a couple of times myself, so that may very well be our destination today. We might even do a little geocaching and try get ourselves lost today. No matter where we go, we're going to try to make it fun, relaxing and memorable. This was a short work week, but I'm not complaining at all. I'm just thankful all the rain that we have gotten this week was during the work week and we did have a nice sunny weekend last weekend as it appears we may have again before it starts to rain next Monday again. I think Mother Nature has finally gotten one right. Kudo's to you Mother Nature. Not sure of any plans for this weekend, but I'm sure we will get into something. I'm really liking these cookout ideas if it is nice and sunny on Saturday. Maybe a trip and a cookout with our little grill just to get away for a few hours. Maybe a little bit of Geocaching just to get out, we'll have to see. Once a week I like to take a little bit of time out and look at all of the pictures that I have either taken, scanned or stolen through the years. Little lost moments in time forever captured digitally and shared with you right here. Sometimes this is a pretty easy task and sometimes it's not so easy. It is however always a whole lot of fun. 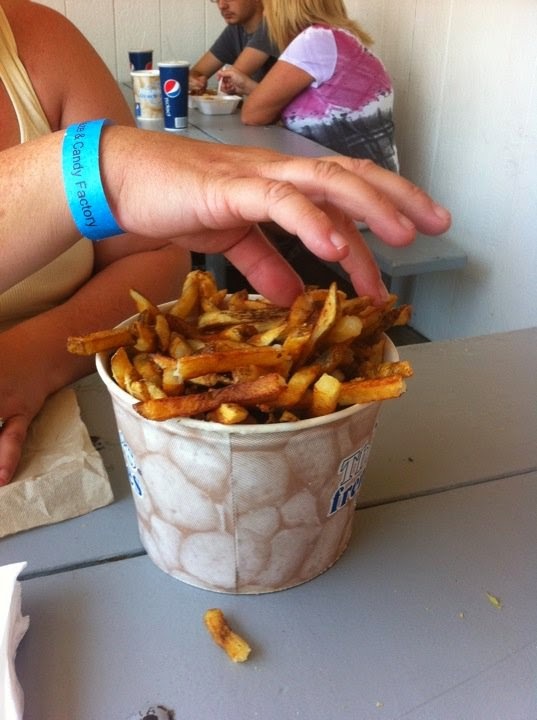 This weeks pic is a simple one, it takes me back to my Honeymoon in Ocean City Maryland and Thrasher's Fries on the Boardwalk. No I wasn't counting carbs that week and was enjoying this awesome french fries fried in Peanut Oil and topped with Malt Vinegar. They are so good, that we can actually duplicate them at home. 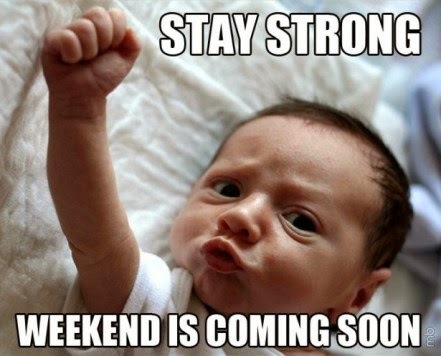 Well that first half of the week is almost over with, phew what a tough two days (LOL). Now it's all downhill after lunchtime and heading towards another weekend coming up. Alright I know, I've been back one day technically, but it is still Hump Day!!! Today should actually be my busiest day in a few weeks, I have a Doctors Appointment this morning and a meeting this afternoon on a project I work on. It's a slow time waiting for updates, but it'll be nice to get back under the gun again. I did find a nice little interactive map yesterday dealing with Climate Change. It will give you a historical perspective of any place at any time period over the last 100 or so years and charts everything for you. Pretty interesting I thought, but I'm a Geek. 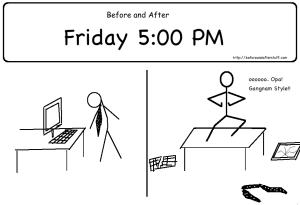 * Well that fun filled three day weekend that marks the unofficial start of Summer is now behind us, now we are looking at a return to work Tuesday. Time for a tidbits. * It has been 3,662 days since I graduated from West Virginia University. * 2,264 days ago I had the pleasure of taking Michelle out on our first date. The movie was horrible, the company was life altering. * 1,488 days ago I proposed marriage to this wonder woman. * 1,025 days ago in front of our closest friends and family, we officially tied the knot and entered into a world of Holy Matrimony. * I have 6,397 days to go until I retire, give or take a few hundred here or there. * There are 218 more days for me to add content before my Goodbye 2014 Blog for this year. * 212 more shopping days until Christmas, if you haven't started yet, you still have a few days. * 103 days (and getting smaller) until we cruise once again for our 2014 Cruise to the Carribean for our third year in a row. This will be the last trip for us on the Carnival Pride before it is dry docked and rebuilt and ready to set sail again next spring. * 71 days to go until Mine and Michelle's third wedding Anniversary. * 57 days to go until we assemble with the rest of the Parrot Heads in Pittsburgh as we party down with Jimmy Buffett on his 2014 your. * 40 days to go until the big Family Pic Nic at Krepps Park. If you are planning on attending, please let us know ASAP. If you are not on the invite list, don't fret we may have just inadvertently overlooked people while assembling the list. Just let us know that you would like to come so we can plan accordingly. * 25 days to go until the OFFICIAL start of Summer!!! * This is my 3,656th post as a blogger since I started blogging on September 11, 2004. * I hope everyone had a great three day weekend. I drove around putting a few flags on some appropriate tombstones. It was time to honor those that the day was set aside for. * I have to say that we really gave our Webber Charcoal Grill a workout this weekend, we still have the big Gas Grill. but have yet to uncover it this season. We probably need to fill at least one of the tanks. * Do we really have to go back to work today? Is the weekend really over? 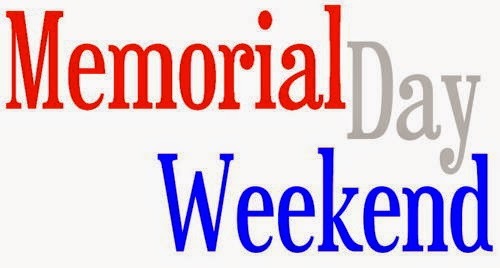 As we all take this opportunity to extend the unofficial start of Summer into a three day weekend filled with fun, friends, family and cookouts, let us not forget why we have this day. Today is Memorial Day, a day that we honor our fallen heroes whose sacrifice allowed us the continual freedom to enjoy those cookouts today. 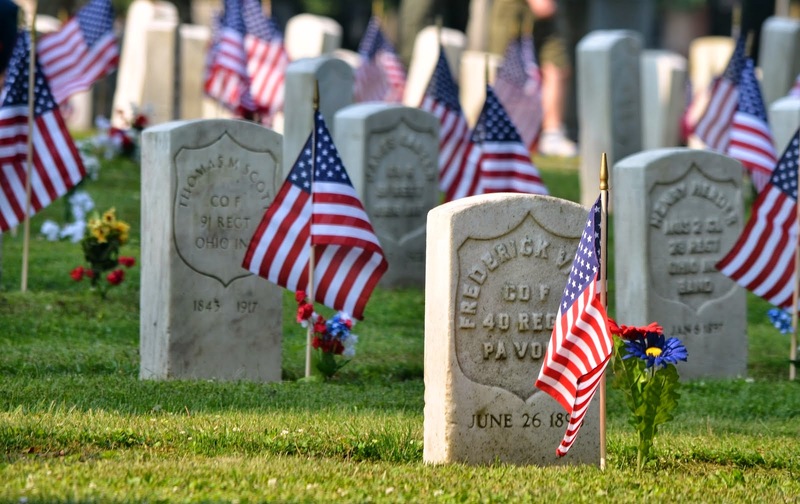 It is a day to honor those who have served and fallen while serving in the US Armed Services. To this date, 1,321,612 Americans have died serving us including 116,516 in WWI, 405,399 in WWII, 36,516 in the Korean War, 58,209 in the Vietnam War and 6,717 in the War on Terror (Afghanistan and Iraq) and that is just the totals of brave young men who died in combat. So take a little bit of time out today and honor and remember them, for it is them we honor. Here I sit once again (I'm an early riser) in the early Morning, I'm the only one to have semi recovered from a losing battle with that dreaded Sandman once again. I'm up watching something or another, getting ready to lay back down for a few more hours before I wake up and start the day. Got a whole lot done yesterday. 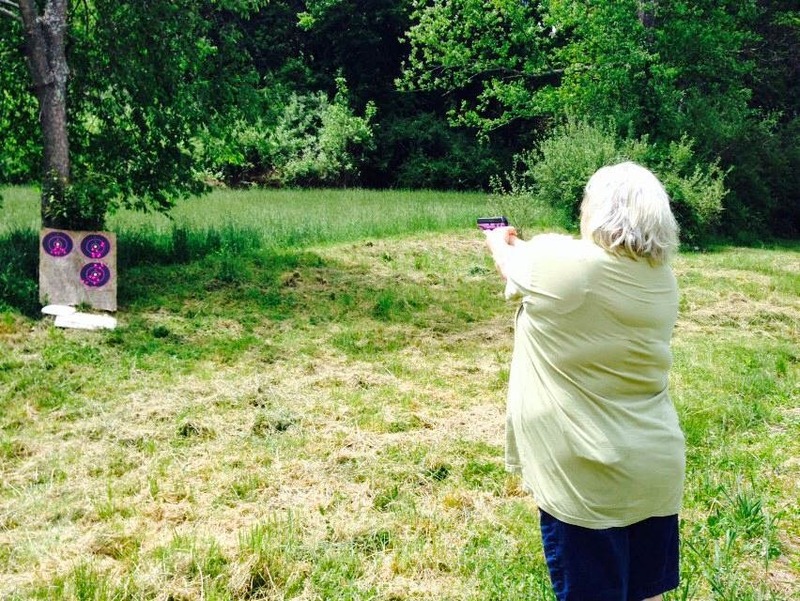 Started off with us buying Michelle the purple Ruger .380 that she wanted. She got a little hands on education from Moke about it and then we spent some time firing it and my gun up at Pam and George's for a few hours. Moke and Ang brought their guns so we had a couple hours of target practice and having fun. We finally got the back patio set up and our 2014 Garden planted. We unpacked everything, power washed everything including the back patio that much needed it and set the majority of it all up. It's not complete, but we'll probably finish the rest of it up today and BBQ this evening. It was a very productive day to say the very least. We're going to do our normal Sunday schedule this week and enjoy the day at home in the back yard. 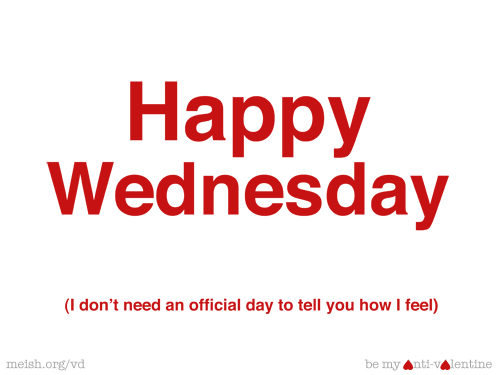 Have a great day and fire up the BBQ grill. Here I sit on a quiet Saturday Morning, I'm the only one that is up and There's Something About Mary is playing in the background on HBO. I'm up collecting my thoughts for the day. Last night was full of surprises. Calvin Graduated from Clay Battelle but the big surprise was that Jean finished up her Chemo and drove back from Baltimore in time to surprise everyone except Val who knew she was coming. Talk about a big surprise for Calvin. Today I think we are going to get the patio set up for summer, plant the garden and probably do a little bit of BBQing. With the last couple of days Michelle has had, she needs a little bit of fun and R&R. The weather looks like it is going to cooperate, so this is going to be an awesome weekend. Have a great day and enjoy your unofficial start of summer. I would like to take this opportunity to wish my brother from another Mother, George McClain Sr a very happy birthday today. We will both be at Clay Battelle High School watching Calvin's Commencement as he finishes up the second of his two graduations this evening. George is definitely my brother from another Mother, a man I still owe a million and one favors to and has always been there for me without question. If you see George today (note where he will be) make sure that you take a little bit of time out and wish him a very Happy Birthday. Yes it is once again that time of the week that we all look foreword to, when we can take time to cease the labors for the week and take a little bit of needed time out to enjoy the fruits of those labors. 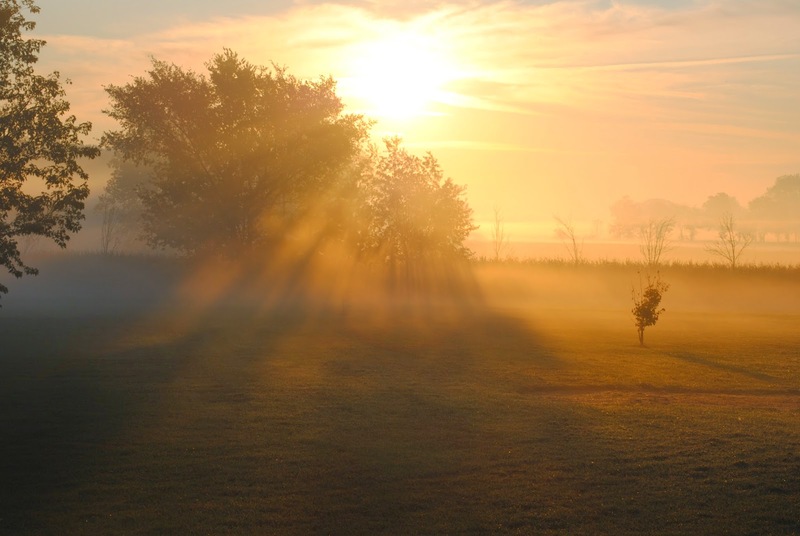 It is once again the dawn of another weekend, and a Big Ole Hairy Friday and a THREE DAY HOLIDAY WEEKEND!!!!! 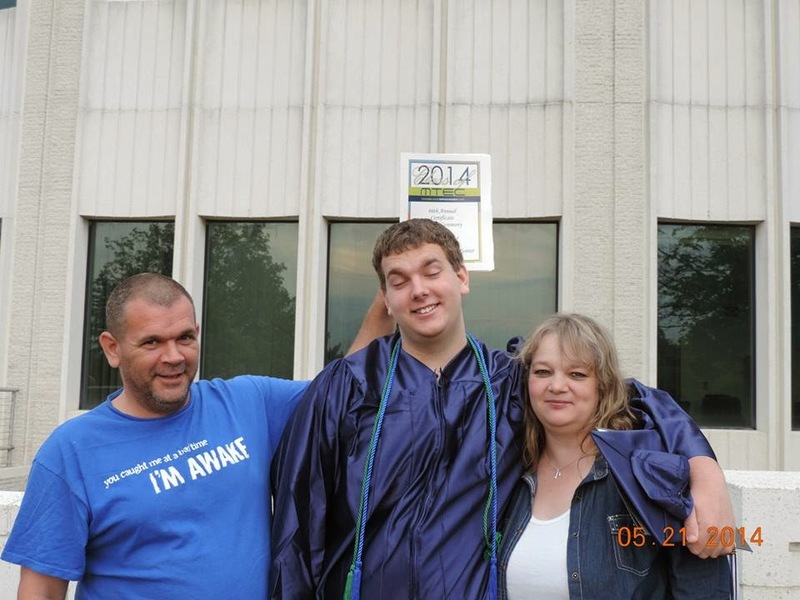 Well tonight is the end of my Nephew Calvin's Scholastic career as he walks the walk this evening a Clay Battelle High School to receive his High School diploma. We celebrated his Vo-Tech Graduation a couple of nights ago on my Sister Pam's Birthday, now on my Brother in Law George's Birthday we celebrate his Graduation. Tonight at 7:00 at Clay Battelle High School, come out and show your support if you can make it. This is also the unofficial start of Summer. The time of the year that I know I absolutely love as it's shorts and sandals type weather. As for our plans this weekend other than a Graduation. We'll probably do a little bit of work outside. Uncover the gas grill and get things cleaned up on the patio in preparation of summer. I think we will use our Webber Charcoal Grill much more than the big gas grill, but it's nice to have both options available. Maybe a trip somewhere for a small BBQ if the weather is cooperative. We've also talked about planting our garden for this year. 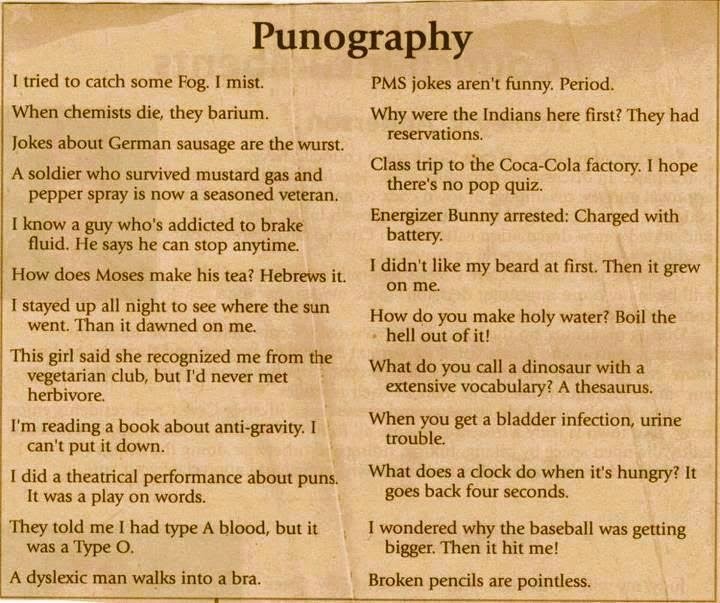 I saw this and thought it was good for a laugh, so I'm sharing it. Once a week I like to take a little bit of time out and look through all the tens of thousands of pictures I have either taken, scanned or stolen off of the internet. Little lost moments of time that I like to post up and briefly re-live within the confines of my blog. Sometimes this is quick and easy and sometimes you struggle to find that special picture to use, but one thing that it always is is a whole lot of fun. 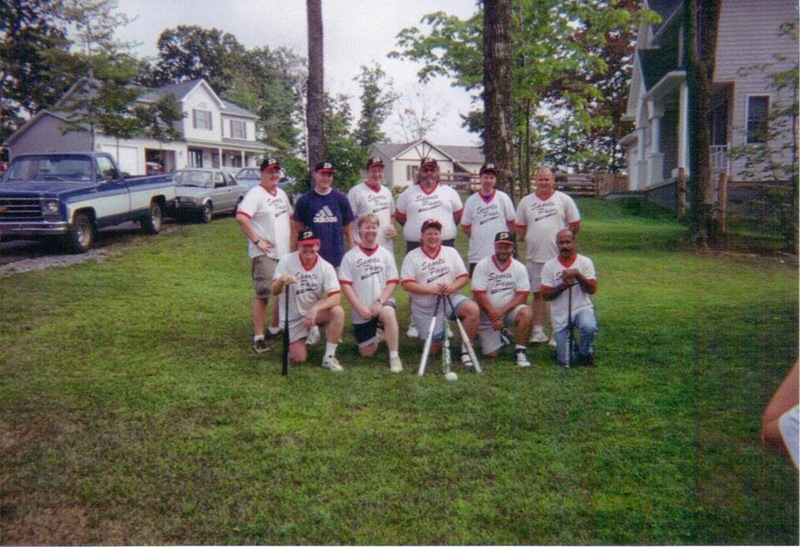 Through all of my years playing softball, I was associated with a number of very good teams. Many of which were top tier teams and had great team chemistry. The old original Sports Page teams that I played on was definitely one of those teams. This was a team that should have walked away with it all, but didn't. I've played on a few that can carry that honor, the Sterling Teams, the Recourse Teams, the Sports Page Teams and of course the Prime Thyme teams were all very good teams with a great chemistry. This was the Sports Page Team. This picture was taken after the I believe the 1998 season was over at our Coach Scott Bartlett's House. We had a cook out after the season and played a little whiffle ball home run derby, and no I can not remember who won. It was a transitional period for me in my life, going from a career in industry to college and beyond. It was a care free summer that I tried to get my life back on track. I miss that team, softball and that summer. I would like to take this opportunity to wish my sister Pam a very Happy Birthday today. I found this old picture of her and Dad a few weeks ago and I knew I just had to use this for her birthday. Pam will get a double treat this evening as her youngest son will graduate from Vo-Tech this evening, so if you are looking for another reason to come out and support Calvin tonight, it's Pam's Birthday. Pam is everything any brother could ever ask for in a Sister. She is about as Genuine and loving as they come. I'm pretty sure that I know where she will be tonight celebrating her 21st birthday, and I will consider it an honor to be there with her as she enjoys this day. Well two days down and two to go after we get over today's noon time hump.It's all down hill after that heading towards a three day holiday weekend. This fine young man to the left is my nephew Calvin. 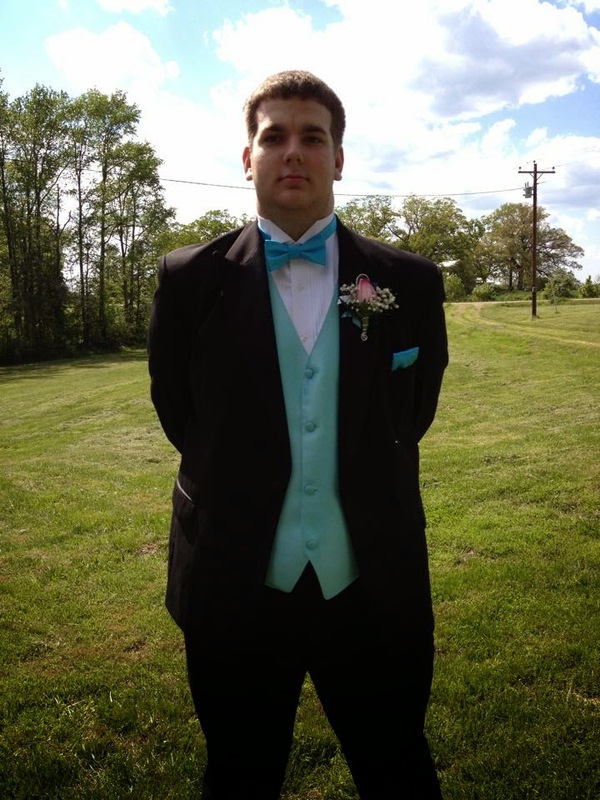 Tonight I will have the honor of watching him in his first of two graduating ceremonies this week when he graduates from Vo-Tech at the WVU Creative Arts Center at 7:00. It's a special honor anytime someone completes an academic journey, and his journey at the Vo-Tech center finishes tonight when he graduates. I'll be there and will try to video his acceptance of his diploma, as well as a few other things this evening. The big graduation will be Friday night at Clay Battelle High School at 7:00. Both Michelle and I will both be on hand to help him celebrate a lifetime accomplishment. We are both very proud of him. I guess I am now starting to feel old, now all of my dad's grandchildren will have all graduated. Meaning all of my siblings have watched all of their kids grow up and finish their scholastic careers. I'm not sure what Calvin's plans are, but I know Pam mentioned he will be heading to Virginia this weekend to watch his girlfriend graduate. * Well that oh so dreary Monday is now off our backs and we're looking straight ahead to a Tuesday. The blue footed booby and the Sloth are playing Parcheesi and laughing it up. I still can't think of a better reason to do a tidbits. * It was 3,656 days since I graduated from West Virginia University. That's ten years since I have been in college, my how time flies. * 2,257 days ago I had the pleasure of taking a young widowed mother of two out for a date on the town for a little bit of fun. * 1,481 days ago I got down on one knee and with a little bit of hardware in hand, asked this wonderful woman to be my wife. * 1,018 days ago, we exchanged our wedding vows and forever entered into the world of Marital Bliss. * I've got 6,404 days to go until I enter the world of retirement, give or take a few. * I have 225 days left of blogging this year before I have to write my goodbye 2014 blog. * 219 more shopping days left until Christmas. * 110 days until we set sail once again for the Caribbean. Last year I I tried to do a video blog every day we were out, I'll post them this year for each corresponding day as well as pre-write my blog for that week. * 78 days to go until my third wedding anniversary. * 64 days to go until all the Pittsburgh Parrot Heads unite once again in Pittsburgh, for the annual Jimmy Buffett Concert. Tickets are still available if you want to go and haven't arranged for your ticket yet. It will be the time of your life. * 47 days to go until the big Pic Nic at Krepps Park. * In 32 more days, it will OFFICIALLY be summertime, but it unofficially starts this weekend. * This is my 3,646th blog post. * Don't my nephew Calvin is graduating from Vo-Tech tomorrow and from Clay Battelle on Friday night. Both are at 7:00 and will be held at the WVU Creative Arts Center and Clay Battelle High School respectively. * Our first Steelers trivia show will be broadcast on August 9th. This will be the fifth week of the preliminaries. The semi Final round if we made it past that will be in week 8 on August 30th and if we are lucky enough to advance, the Super Bowl of Steelers Trivia will be on September 6th while Michelle and I are in Baltimore getting ready to leave on our cruise. That is if we can advance, tune in to see how we will do. * Not sure of our plans for the coming weekend, but hopefully the weather will be nice and we can do something. All good things must come to an end, and that includes those fun filled and this weekend travel filled weekends. It's time to sit back and reflect upon the weekend a little as we prepare to look to the week ahead. We did manage to tape all of the Steelers trivia show(s) this weekend. I can tell you our first show will be in week 5 of the challenge. There are six weeks of preliminary games and those six winners advance to the second day for the semifinals and possibly finals. The winner of our first round game moves on to the semi-finals in week 8 for a chance to earn a spot in the Super Bowl of Steelers Trivia, aha Week 9. You'll just have to tune in to see how we did. We won it all in 2008 as Poised to Strike and advanced to the Finals last year as the Pudgy Polamalus (even though no one studied) but finished third. Now the week ahead I have a couple of Graduation Ceremonies to attend. Calvin is graduating from Vo-Tech on Wed at 7:00 at the WVU Creative Arts Center and at 7:00 on Friday at Clay Battelle High School. That should be a great way to start a 3 day (Unofficial Start of Summer) weekend. Here I sit yet once again in a quiet household (but not for long), I just woke up and am collecting my thought s for the day and watching something or another on TV. I'll be getting Michelle up soon and we will be heading out early this morning and heading back to Pittsburgh and KDKA studios once again for day two of taping the Steelers trivia show. I'm not going to say how we did in our first round game, but we will probably be back there by people wake up again if that is any indication. 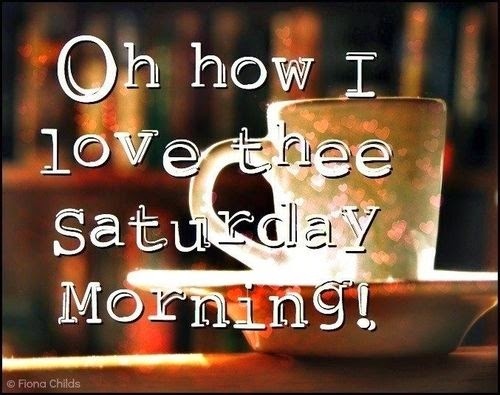 Yes this has or will be a weekend of running, but in between all the running we did manage to get our menu planned, our shopping done and the majority of the laundry done as well as well as my prescription pills sorted. Hopefully we can return today with a little bit of hardware. Here I sit in a quiet household, even though I slept in this morning (could be a long day) I'm still the first one to recover from a losing battle with the Sandman. I'm up watching Joe Dirt and catching my thoughts for the day before I resume studying. 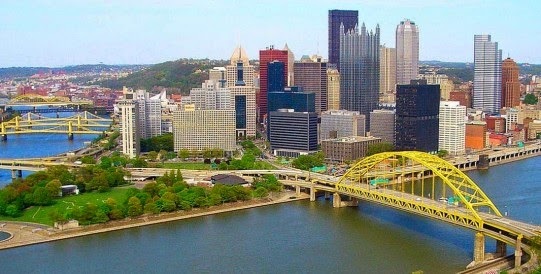 We'll be traveling to Pittsburgh today and will be at the KDKA studios filming the first round of Steelers Trivia. This is our third try doing this, winning the 18 team tournament in 2008 and finishing third last year although no one studied due to other things going on in all of our lives. Hopefully we can bring home another Championship Trophy this year. If we are successful today, we'll be heading back up tomorrow morning but have no idea what time yet if that happens. In 2008 we had to be at the studio at 6:30 AM and last year it was much later. Last year Michelle couldn't make the trip due to a Hospital stay, this year she is and I will be traveling together. Didn't have our good luck charm last year, but we do this year. Well as I have stated a couple of times this week, we'll be taping Steelers Trivia this weekend. I have to be at the KDKA Studios tomorrow afternoon to tape our first round game. If we win that we'll be back in the Burgh early Sunday Morning, so something tells me this is going to be a traveling weekend for us. Looking ahead at the weather can be a little depressing with all the rain we are scheduled to get, so I won't take time out to acknowledge that they are calling for rain all the way back until it's time to go back to work. Dear Mother Nature, rain during the week is OK, weekends we prefer sunshine. Looking at the week ahead, Calvin is Graduating from Vo-Tech on Wed at 7:00 at the WVU Creative Arts Center and then from Clay Battelle at 7:00 on Friday. I'm sure he would appreciate people being there for him. Once a week I like to take a little bit of time out, time to reflect upon all the photos that I have either taken, scanned or stolen off of the internet through the years and select just one. One lost moment in time to be briefly relived right here on my blog. Sometimes this is a pretty easy task and sometimes it's not so easy. It is however a time I look back and reflect a little and that is a whole lot of fun. This weeks pic is hopefully a look into the future. This is Poised To Strike the 2008 KDKA McDonalds Steelers Trivia Champions, the team that was victorious over 16 other teams trying for that coveted prize. We never fell behind any team at any point in the tournament. This team will bear a striking resemblance to last years third place finishers and hopefully this years winners, the Fat Polamalu's. I figured since we start taping in a couple of days, that this would be a good time to reflect upon this Championship. 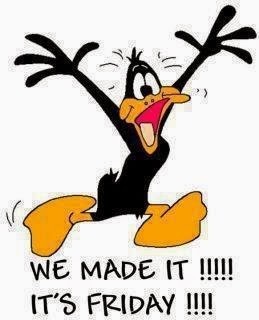 Two of those dreaded work days down and two to go after today, now all we have to do it get up over that dreaded noon time hump and we are on the downhill towards the weekend. Once again, I'll be traveling to Pittsburgh this weekend as we tape the KDKA Steelers Trivia Show. I have two of the best team mates anyone could ever ask for, hopefully we can bring it home once again. I have to say I am loving this weather, we actually had a rare mid week cookout last night for dinner. it was just hot dogs and french fries, but we did cook outside. I do love my charcoal Webber Kettle Grill. This thing is absolutely awesome. I have to admit I have not done any scanning recently, nor have I done much work on the Hall Family Tree in the past week or so, but I'll get back to it some time in the very near future. It has a very long way to go, but no one ever said that this is an overnight project. I will accept any assistance on information that I can get. 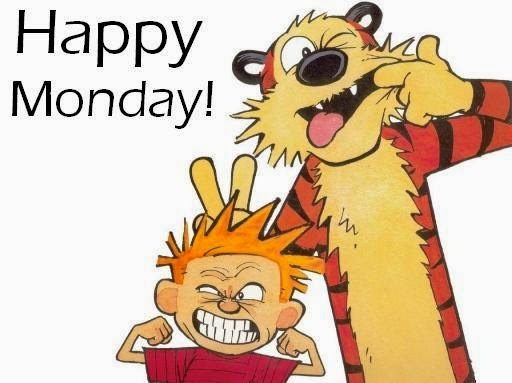 * Well that dreaded Monday is now once again behind us and we are staring straight down the barrel of a Tuesday, good a reason as any to do a tidbits. * It was 3,649 days ago that I graduated from WVU. (That is nearly 10 years) Wow does time fly. * 2,250 days ago I had the distinct pleasure of taking my wife Michelle out on our first date. * 1,474 days ago, I dropped on one knee and asked her that magical question and presented her with a ring. * 1,011 days ago at the Marilla Center in front of our closest friends and family, we tied the knot and made it official. * I have 6,413 days to go until I retire, give or take a few. * In 232 more days I will post the Goodbye 2014 Blog post, this will be the one that recounts this year as seen through my blog. * You have 226 more shopping days left until Christmas, you still have plenty of time. * We're down to 117 days to go until our cruise. We just rebooked our hotel over the weekend and will be staying at the same one we stayed at last year. It's within walking distance to the inner harbor and right across the street from the Comic Con. * 85 days to go until our third wedding anniversary. 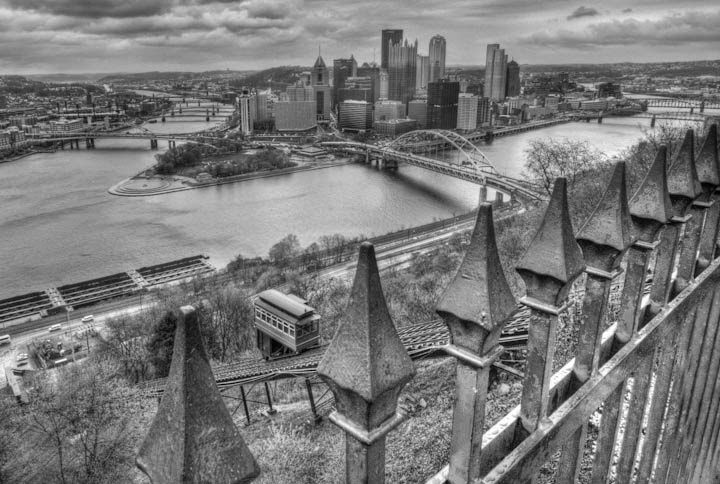 * 71 days until we get together with all the Parrot Heads in Pittsburgh and party down. If anyone wants to go, there are still tickets available. * 54 days to go until the big summer pic nic that we are going to have at Krepps Park. * 39 days to go until Summer. * This is my 3,639th post that I have written as a blogger, not to bad for someone who just wanted to try this thing out. Not too far from 10 years as a blogger. 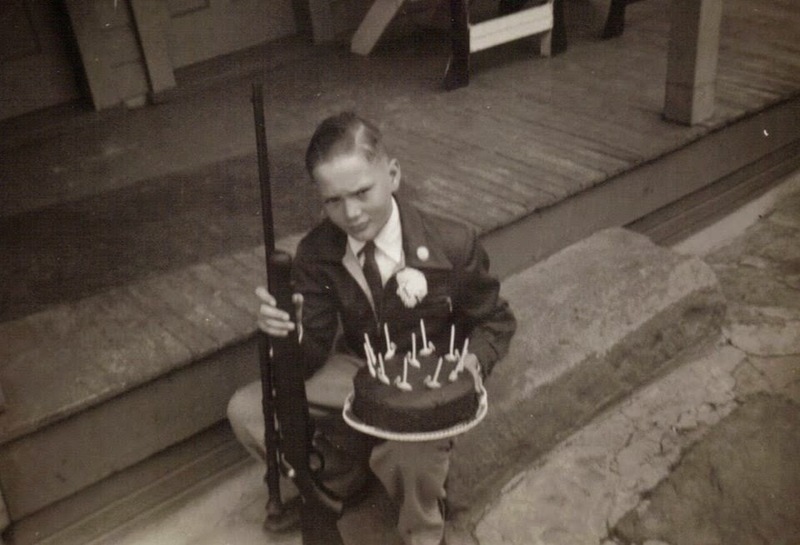 * Today would have been my Dad's 69th Birthday (see earlier blog from today). * I guess my niece Amy has some new neighbors that I guess they are not crazy about. Ralph started to build a fence around the property and is his summertime project this year. * I was talking to Mom on Sunday and she said Terri is trying to organize a day at Idlewild Park for the family after the Pic Nic. Tickets are still available at a discounted rate for now, I say we pick a day and a go time and save the money on the tickets. * Anyone else have any family plans or ideas for the summer? Is anybody out there or have I entered the twilight zone? * My machine at work that was upgraded from Windows XP to Windows 7 a couple weeks ago, is being upgraded to Windows 8.1 so that I can test our software on the platform. I have three machines, so call it a play around machine to test on. * Friday and Saturday East Gate is having their Community wide Garage Sale. That is this Friday and Saturday. * I'll be taping Steelers Trivia this weekend for the KDKA Steelers Trivia Challenge again. Hopefully we'll be better prepared than last year. * I love summertime traffic around Morgantown, students are gone and the locals can actually enjoy the roads. 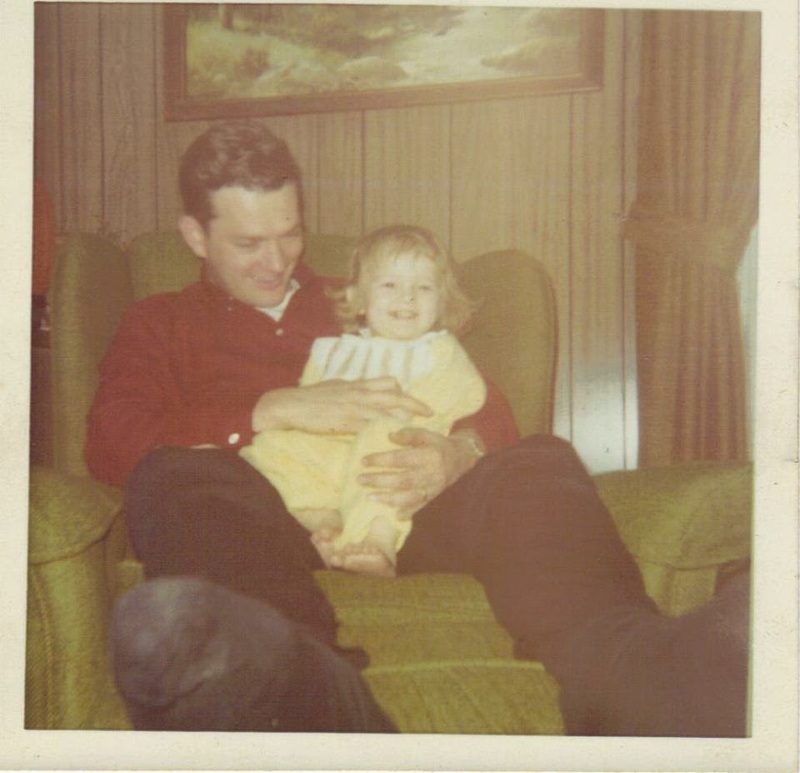 Of course this photo was taken years before I was even a twinkle in his eye, but today would have been my Father's 69th Birthday. On this day in 1945 he entered the world, forever changing world history as he would produce 5 (really 6) children. Unfortunately he passed away in the Summer of 1999, it will be 15 years ago this summer and his presence still has an impact on so many still to this day. I know I miss him dearly as do so many others whose live's he had touched, influenced or inspired in such a positive way. I think I can speak for all who knew him and when I say this and only wish he got to meet the ones who came after him. Happy Birthday Dad, you are missed. All good things must come to an end and unfortunately that also includes those fun filled things that we love so much called weekends. I hope everyone had a great Mother's Day, I tried to cover all the bases through the weekend, and I think I did a pretty good job. Now I have to start preparing for Steelers trivia this weekend. We are once again competing and we are taping the first round on Saturday and the final two rounds (if we advance that far) on Sunday. We won it a few years back and last year we finished third and no one studied at all. I have to say I have a couple of very knowledgeable team mates. Hopefully we can bring home another trophy this year. Well the students are all gone now. Commencement was yesterday meaning the Graduates were back in town to receive their degrees. Now maybe traffic won't be so bad, or at least the areas where they are not doing road construction. Mothers Day is a very special day in a place that I call home. 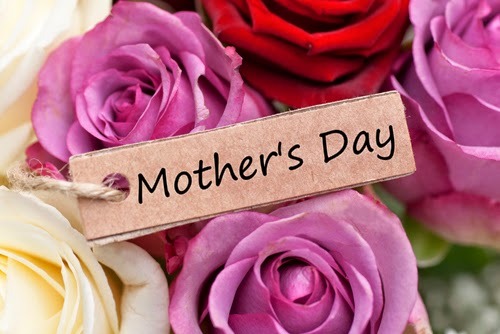 It's a celebration of Mothers that originated in nearby Grafton, West Virginia in 1908 and was the original idea of Anna Jarvis. It is a day that we take to honor our Mothers, Grandmothers and all women who have had an influence on the people we have become. I'm fortunate in my life, I have a Mother, a Step-Mother and a Grandmother who all were very influential in my life. We take this day to celebrate all of these wonderful women. Women who have done everything from bandage up a scraped knee to celebrating life's achievements with me. Happy Mothers Day to all, including all of the lovely ladies who have had an influence on my life. Congratulations are in sore for Michelle's niece Amanda, she has now officially ended her career as a student at West Virginia University with her second degree. A Masters Degree in Public Health. She was awarded her degree and her hooding ceremony was last night at the Waterfront Convention Center where she had a large contingent of family (with a cow bell in hand) were there to help her celebrate this wonderful accomplishment. After the ceremony the family and a few friends went to Oliverio's for dinner where we all feasted and spent a little bit of quality family as we helped her celebrate. Next up she will be leaving for Marietta College in Ohio in a few weeks and enrolling in their Physicians Assistant Program. You have to absolutely be inspired by this girl, as she had an feature written about her just a few weeks ago by WVU. Congratulations Amanda, one more ceremony to go!! Well today Michelle and I will be celebrating her Niece Amanda's Graduation from her Master Program. She is less than a week removed from finishing her first Marathon and a few weeks away from moving on to become a Physicians Assistant. One last step for her. Dinner at Oliverio's after Graduation Ceremonies. Congrats Amanda, you are an inspiration to all around you. Other than that this is Commencement weekend here in Morgantown, so expect traffic to be a little heavy for a few days until all of the ceremonies are over with. It should get peaceful after that, or at least until all of the road construction in the area starts. Chad should be finishing up his finals today if he has not already done so and will be joining all of us these evening for dinner. Other than that, have a safe and happy weekend. Once a week I like to take a little bit of time out to look through all of the pictures that I have either taken, scanned or stolen from the internet through the years. I like to find just one lost moment in time and post up and writer a little blog about it. Sometimes this is a pretty easy task and sometimes it's not so easy. It is however always a whole lot of fun. This weeks pic is actually stolen (Thanks to my niece Amy), it was taken on mine and Michelle's wedding day a few years back. 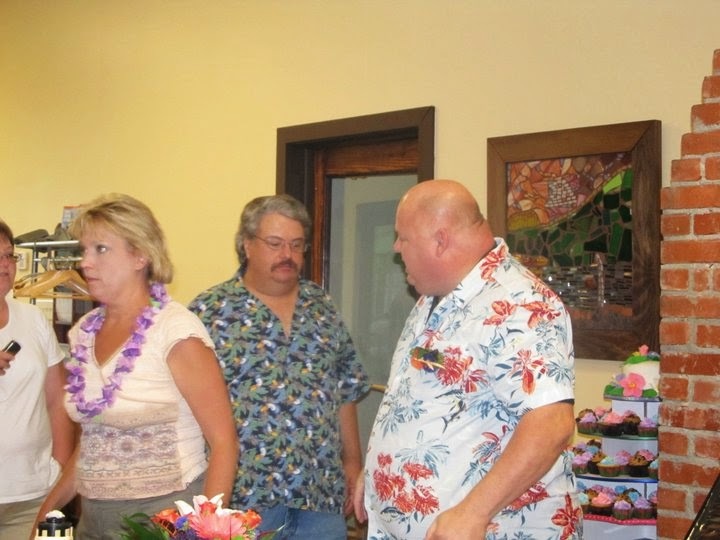 That is me talking to one of my oldest and dearest friends (and old drinking buddy) John "Smitty" Smith. I'm not really sure at what point of the day that this picture was taken, it was either before or after the ceremony, I can't seem to remember the specifics. I do see the Cupcake table behind me and it is un-eaten, so maybe this was before the ceremony. All I know is I am glad we made it a Margarittaville" type theme, that way were all much much cooler than we would have been in suites. Of course the building had air conditioning this time around, unlike for Val's wedding a number of years earlier. 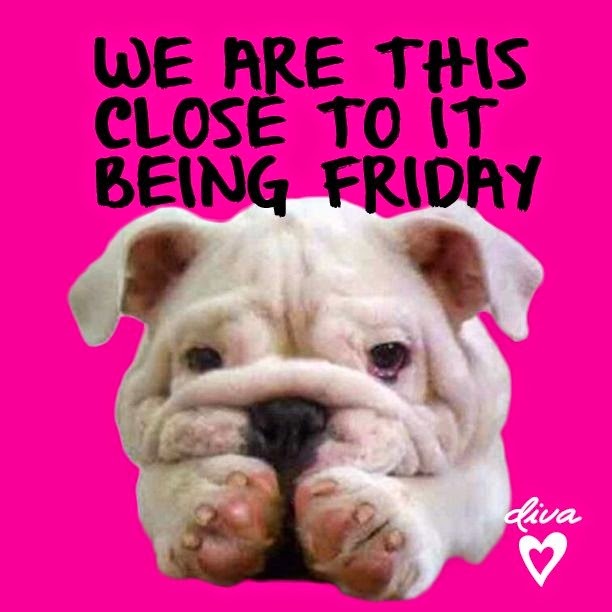 This week is just chugging on along for us, that's two down and two more ahead of us, now we just need to get through today and over that noon time hump and it will be smooth sailing all the way till the weekend. I've done a little more on the family tree site, I'm just putting names in right now, I'll have to go back and place in all the details like birth, death, marriages, children, times you picked your nose, etc. It's still very much in its infancy stages and is based off of my life, so it will have numerous branches veering off in many directions. It's not ready to publish just yet, but I'll need everyone's help with people who are currently alive. Once it's done, I think everyone will like it and I'll probably just assign a domain name to it so everyone can get to it easier. It'll probably be later this year before I actually publish it for everyone to see, although it is in the domain currently. I want to add pictures and some detailed information for those who follow, then maybe I can hand this off to someone in the next generation to maintain. I think everyone will be quit pleased with this when I decide to publish it. WVU Finals are over, but Chad is in the middle of Finals week at Fairmont State. They always tend to have their finals a week after WVU's for some reason. I think they start at the same time as well. Good luck Chad, Study hard. * Monday. Behind us, Tuesday straight ahead and looking good. Time for a Tidbits. * 3,642 days now since I have fulfilled a lifelong dream and Graduated from West Virginia University. I got a late start, but the dream was accomplished. * It has been 2,243 days since I had the unique opportunity to take a wonderful woman who would forever change my life out on our first date. * 1,467 days since I got down on one knee and proposed marriage to this wonderful woman. * 1,004 days ago, we exchanged our Marital vows in front of our closest friends and family and ate like kings. * I have 6,418 days to go (give or take a few) until I can consider myself retired, or at least partially retired. * 239 more days until my Goodbye 2014 Blog. This means I have about 1/3 of the content that I will use to decipher from to write that blog. * 233 more shopping days left until Christmas. You have time, but it'll get here quicker than you think. * 124 days to go until we take our last ride on the Carnival Pride before it is dry docked and remodeled. * 92 days until my third wedding anniversary. * 78 days to go until the Parrot Heads unite in Pittsburgh for the annual Jimmy Buffett Concert. I'm ready for some Fins. * 61 days to go until the hopefully big pic nic this Summer at Krepps Park. * Only 46 days to go until SUMMERTIME!!!!! Michelle had her snow dance, I am going to counter it with a Sunshine dance! * This is my 3,631st blog post. Now if someone would just pay me $1,000.00 for each one of those, I would be sitting pretty LOL. * I have started another project to go along with all of the scanning that I have been doing. Some of the pictures have names and relationships associated with them as well as dates. I have started to build a family using a piece of software that synchronizes with a website that I can publish. It's in its infancy stages right now, I'll wait until I can get a little more information in it before I publish it for the first time. * Speaking of a Family Tree, I am going to need a great deal of assistance from everyone to build and populate this. I think it would be something magical and educational for all to see when it starts grow a little more. Right now I am working on deceased members of my Dad's side of the family. Irene, I will eventually need your assistance. 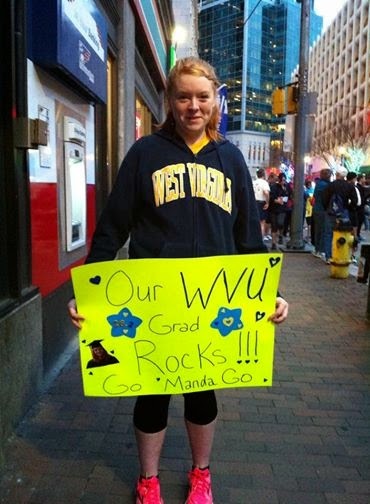 * Michelle's Niece Amanda who is graduating with her Masters from WVU this weekend (next up Dr. Paugh), ran the Pittsburgh Marathon this past weekend. Congratulations, you are an inspiring person who leads by example. * Has anyone noticed how easy it is to drive around Morgantown now that all the students are gone? I Love It, however it will be crowded one last time this coming weekend for Commencement. * Don't forget that Mother's Day is coming up this Sunday. * Steelers Trivia Show taping is next weekend. All good things must come to an end, whether that be the weekend when we are off work or the closing of a WVU Sports facility. Yesterday I went to the WVU vs #11 Texas Baseball game, a game that was the final chapter written of Hawley Field. Next year WVU moves into their new stadium that is being constructed, but we had to close the books on this one and the Mountaineers did it with a 12-6 beating of Texas. I can now honestly say that I was in the last game ever played at old Mountaineer Field in Football AND the final game at Hawley Field. I was alive when they closed down the old Fieldhouse, but I was a little young to be attending games. There is probably only a handful of people who can make the claim about being at the last game at those two facilities. I consider myself a luck man for being able to say that. AI did get another 48 pictures scanned yesterday. That give me 400 that I have scanned for either me or Michelle over the past couple of weekends. I'm not done, I still have a number to go, but I am in the home stretch I will have to say. Here I sit once again in a quiet household, it's the wee early hours of the morning and "We're the Miller's" is playing on HBO. I'm up early partially recovering from that losing battle with the dreaded Sandman last night. It's just me and our 19 year old dog Sadie that are up. Strange thing is she doesn't want to eat her food, but put her food in Gracie's bowl and she eats it. We have our weekly menu planned out and we'll be going shopping later this morning when Michelle gets up and around. For some reason she wasn't feeling the best yesterday, sort of that blah kind of day for her. Here I sit on a quiet Saturday Morning, I'm the first one to partially recover form a losing battle with that dreaded Sandman yesterday evening. I'm up watching some documentary on HBO and drinking a diet Orange Soda from my Soda Stream. I'm probably going to do some scanning this morning, but I am contemplating laying back down for a little while before I partake in that task. Once I start, I tend to keep going, so if I want to sleep anymore, now is not the time to start LOL. Didn't make yesterday evening's baseball game, but the Mountaineers beat Texas 5-3 here in Morgantown. 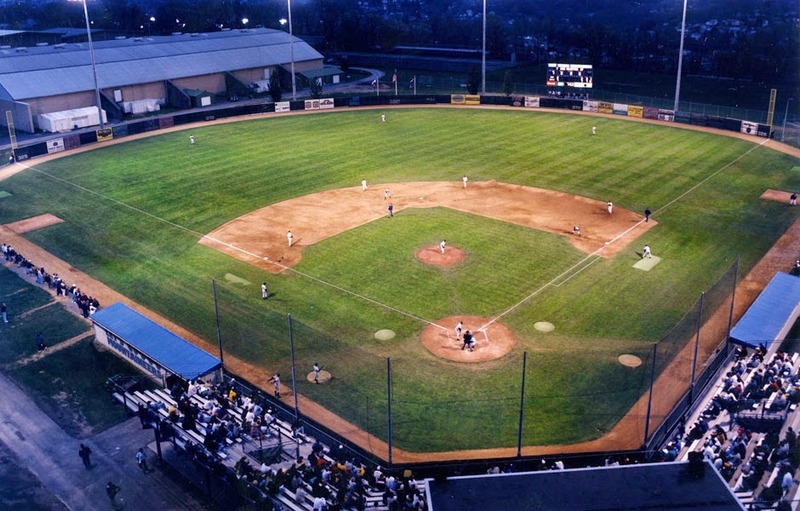 Today and tomorrow will be the last games ever played at Hawley Field, so my guess is that there will be a good number of people at both games. Tomorrow's game will have $1.00 Concessions. It's calling for rain this afternoon, of course we got the same weather report last weekend and we lucked out. Maybe we can enjoy the same luck this weekend. Well Mountaineer Baseball fans, this is it for Hawley Field, the last three games that will ever be played there will be played tonight at 6:00, tomorrow at 4:00 and Sunday at 1:00 against the University of Texas. This is big time college baseball, we have a great team and the best coach. Help the Mountaineers usher out the old field as we await the new stadium next season. It is the last (actually there are a few tomorrow) day for finals in the Spring Semester 2014 at WVU. You'll notice traffic will start to deteriorate for the next few months around Morgantown as there is a mass exodus of college students out of Morgantown. OK, You breathe more easily now as we made it another school year. Enjoy it, they'll be back in August. Once a week I like to take a little bit of time out and look through all of my pictures. The little lost moments in time that I have either taken, scanned or stolen from the internet through the years. Memories that are frozen and time and relived right here. Sometimes it's pretty easy finding that special moment and sometimes it's not so much, but it is always a whole lot of fun. This weeks picture goes way back to early August 2000. Back before I ever even thought of owning a digital camera (actually they were expensive and used a 3.5" disc). Greg Helbig and I ventured way out west. 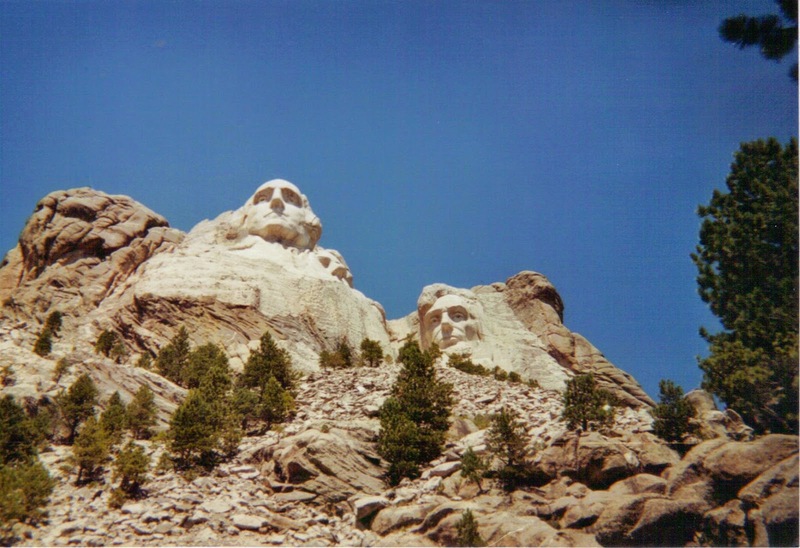 Out to the Black Hills of South Dakota and Mount Rushmore. Greg was out there to run a 100 Mile Ultra Marathon and I tagged along to be his spotter and do the drop bags for him. We did take some time to see the sights, including this picture (yes I took it) of the base of Mount Rushmore. It really was a surreal feeling as we were driving up the mountain to the park and seeing this. I never imagined I ever would have ever visited there, but yet there I was. Greg and I hiked down below the lookout point, to the base of the sculpture where I got this picture. It was a great and memorable trip.